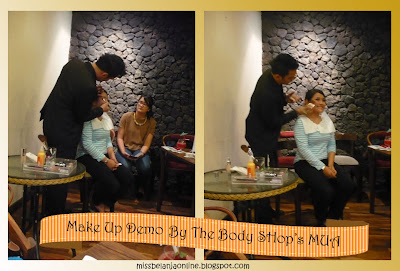 Couple of days ago, at December 12th, 2012; I was invited by The Body Shop Indonesia to attend private gathering with some of online buddies. Some of The Body Shop's lovers were invited to this event, like bloggers, facebook, and twitter friends. 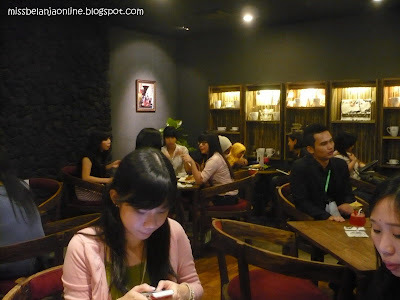 I came with my fellow Surabaya Beauty Bloggers, and that event was held in Rolaas Cafe, Tunjungan Plaza Surabaya. That day, I went to the event as soon as I finished my work at office. At first I thought I would go home first, take a shower, change my clothes, and do heavier makeup; but due to some reason finally I departed to the event immediately without change my clothes and take a shower >.< lol. I only wore compact powder, concealer and lip balm for office, so yeah.. I was kinda messy at the moment. I even didn't bring my camera *again* T_T yeah, this situation was out of my plan, lol. "Let's reduce plastic.. Be a green consumer"
Big change always started by small step, like reducing water usage, planting more tree, reducing electricity usage and so on. Hana got a sunkissed look ^,^ I'm so curious with the multifunction product that Body Shop's MUAs used.. that was Shimmer Wave! Can be used as powder eyebrow, smokey look eyeshadow, contour, and bronzer at the same time! *w* ♥ It so pigmented as well. Aaahh i want it! Will buy it someday hehe. 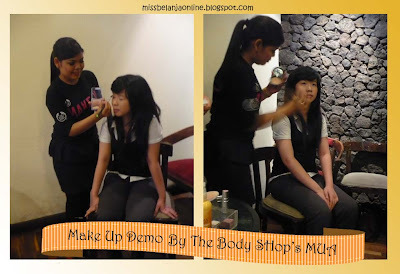 After saw the makeup demo, I changed my mind about The Body Shop's makeup product. 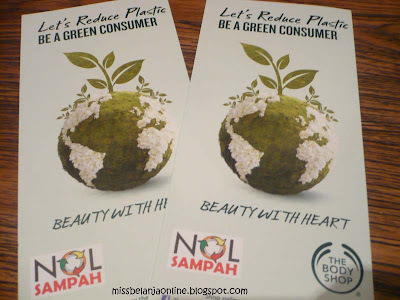 At first I thought that Body Shop makeup product wasn't comparable with their skincare ranges, I admit that I was wrong. 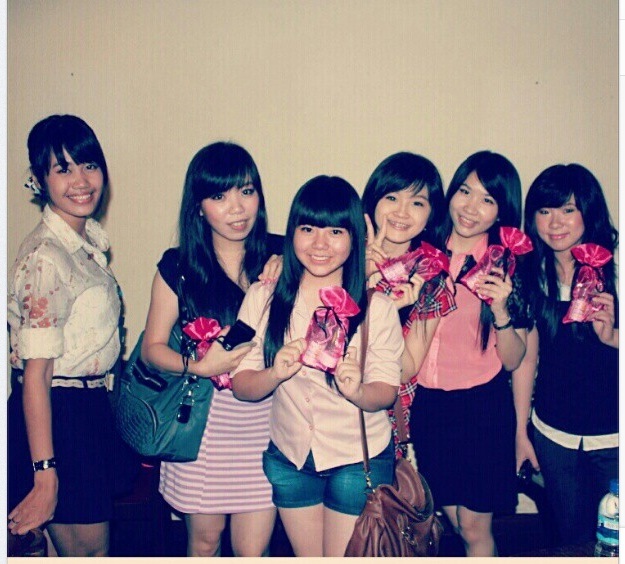 Their makeup also has nice quality =D As great as their skincare products! Nice post. 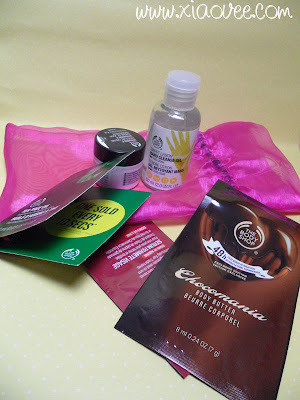 I am hosting an International Giveaway on my blog where you can win Korean Skincare products. It would be great if you could enter. 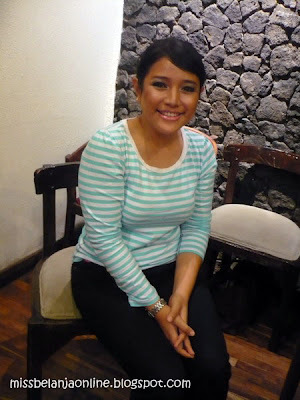 IBB Makeup Challenge: Must Have Red!